WASHINGTON — Fleet operator Telesat, originally undecided about a joint-use spectrum plan put forward by Intelsat, Intel and SES, is turning against the plan because of how participants would be compensated. 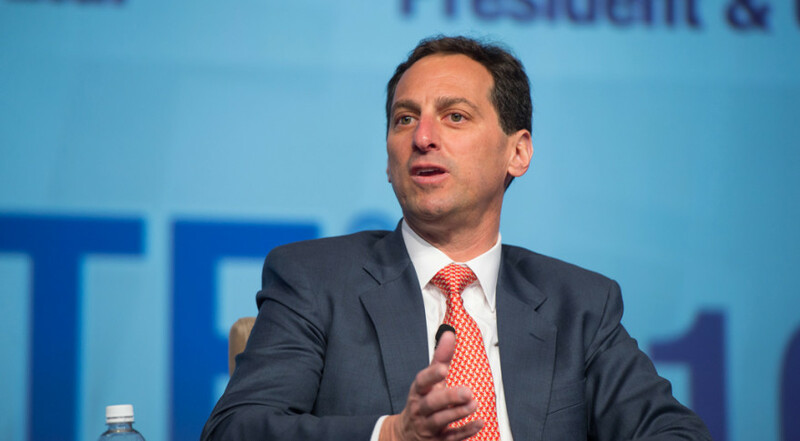 Dan Goldberg, Telesat’s CEO, said the spectrum plan places competitors Intelsat and SES in charge of distributing money gained from mobile operators to cover the cost of migrating satellite customers out of C-band in the United States. Even though Intelsat and SES together control more than 90 percent of U.S. C-band, Telesat has invested “hundreds of millions of dollars” for its own U.S. C-band coverage, Goldberg said — investments not to be overshadowed by larger operators. “As it stands, unless we can be persuaded that these proceeds are in fact going to be distributed in an equitable way, we are going to oppose this and will oppose it vigorously,” Goldberg said during a May 3 earnings call. Three of Telesat’s 15 geostationary satellites have full 50-state coverage of the U.S. in C-band, Goldberg said. “We’ve got a lot of skin in the game,” he said. The U.S. Federal Communications Commission’s (FCC) accelerating march toward opening up C-band to mobile users, particularly future 5G cellular networks, has led satellite operators to offer a compromise instead of resisting reallocation or dual-use plans as per norm. FCC leadership has repeatedly referenced 500 MHz of C-band from 3.7 to 4.2 GHz, the so-called “mid-band spectrum,” as an ideal swath for new 5G services. Two days ago the FCC issued a public notice calling for a discussion on mid-band spectrum uses, with comments due by the end of the month. Intelsat, Intel and SES have offered up 100 MHz of the band for 5G and other wireless applications, so long as those other users pay satellite operators for the expense of migrating customers out of the band, building new satellite and ground infrastructure to work with less spectrum, and lost business opportunities. Fleet operator Eutelsat of Paris, which has five satellites with at least partial U.S. C-band coverage, agreed in February to join the plan. Mobile sector giants Ericsson and T-Mobile have opposed it or called it too limited. Goldberg said Telesat agrees with Intelsat and SES on some fundamentals about C-band, namely that the satellite industry has invested heavily in the band, and that if the FCC does reassign the spectrum, “that those of us who have made those significant investments need to get compensated for them.” Having Intelsat and SES as the arbiters of that compensation, “that’s not going to cut it,” he said. Telesat’s biggest growth initiative is the preparation of a constellation of 117 low-Earth orbiting satellites for high-speed global broadband services. The first, a prototype from Surrey Satellite Technology Limited, is in orbit to test technologies and service provision ahead of a larger constellation. Goldberg declined to estimate the total cost of the constellation, saying that will depend on satellite manufacturing and launch costs, but any additional cash Telesat has will likely go toward debt payments rather than shareholders’ pockets. Telesat had CA$3.5 billion in long-term indebtedness as of March 31, roughly the same amount it had at that time last year. Since then the company’s cash and cash equivalents have grown by 56 percent to CA$516.8 million, however. Michel Cayouette, Telesat’s chief financial officer, said the company has an approximately $200 million line of credit with lenders and continues “to generate a significant amount of cash from our operating activities.” Even with those resources, Goldberg said Telesat will likely need additional investors or partners to realize the constellation. Telesat reported a CA$15 million loss on CA$232 million in revenue for the quarter, citing foreign exchange rates on the company’s U.S.-dollar denominated debt into Canadian dollars as the main reason. Excluding exchange rates, Telesat said revenues increased by 2 percent year over year. Goldberg said Telesat should downselect to one or two satellite manufacturers “within the coming months,” and then work with the finalist or finalists to further define the ultimate constellation. “That’s our plan right now. I don’t think it would be until sometime next year until we make significant capital commitments,” he said. Telesat envisions starting service with its constellation by the end of 2021.